I’ve decided to start something new on here to drive one of my less/more/none goals. It’s a nudge, really. Periodically, I’m going to write-up a bit about the things I’ve read or that I’m working on that I find brain-engaging. It’ll be called “This Week I Learned” or “TWIL” for short. The goal is to make this a semi-regular thing so I reinforce the idea that I really do want to write more. And getting these thoughts out of a jumble in my head will help me distill the good and break down the bad. It’s all about the introspection, I guess. This is a business strategy book that my last boss recently told me about. With my foray into competitive intelligence, I’ve been looking for ways to improve my understanding of how business markets work and how we compete within them or expand outside them to make the business money. I find it particularly fascinating in that it’s already changing how I think about competing … or rather, how others compete with us in our industry. Red Ocean Strategy is what you traditionally see in a market: competitors, over time, define the boundaries of how the market works and fight each other for market share within that finite bounds. Their rules of competing drive them into a stance where they must offer more and more features for less and less money. Companies following Red Ocean Strategy eventually homogenized their offerings and effectively become a utility service, easily replacing each other. 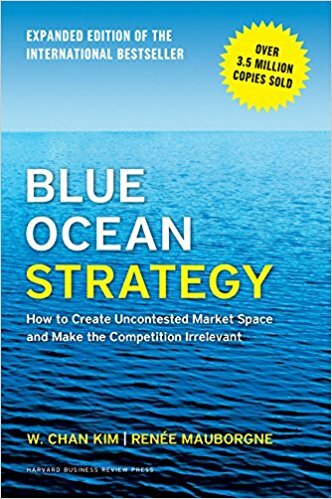 Blue Ocean Strategy is where a company within an industry figures out how to push the boundaries of the market in a way that provides them access to new customers while preventing their competitors from necessarily doing the same — at least, for a time. In Blue Ocean Strategy, you tend to focus more specifically on what a customer wants and needs instead of benchmarking yourself against what your competitor is doing. You compete by listening to what’s being asked for instead of trying to win a game where performance is constantly being measured against your competitors and the goal post is constantly being driven farther away. I plan on a write-up of my notes once I’ve completed the book. Misconceptions about Nudges: With my personal push to improve my understanding of how people interact and how they make decisions, I’ve started reading a bit on behavior economics, starting with Richard Thaler’s Misbehaving. The author of the paper, Cass Sunstein, was Thaler’s co-author on Nudge. I liked the discussion from the standpoint of what nudges were and more specifically, were not. I find the idea of nudges useful from a personal stand point in that I want decision-making processes easier to follow through on. If, in my day-to-day experiences, I can nudge myself into doing things, that will help define habits and positive outcomes. And, by extension, understanding how this stuff works also helps me in some of the business and sales engagements I get to deal with. It’s all about understanding why people choose the way they do and how to positively influence that. ManagerREADME: is a site dedicated to people writing up and discussing their management style. Overall, I find many of these well thought out and they are pushing me to think about how I would approach the relationship between manager/leader and their team. This is now apropos to work I’m doing to improve my place and footing within my career. LIFE rides with Hell’s Angels 1965: A short retrospective and photo montage about the Hell’s Angels in 1965. It’s a unique view into the lives and kinship seen within a group of people who you wouldn’t normally expect to see. There’s an aspect of freedom and personal agency here that makes me think about where my life is going versus where I want it to go. It reminds me of a photo book in my library: Band of Bikers, a collection of found photos describing the a group of gay bikers in the 70’s. Shortwave Trading, Part IV by Sniper in Mahwah: This is the last part of a four-part series talking about the use of experimental radio communication in high frequency trading (HFT). I became fascinated in HFT a few years back after reading Michael Lewis’ Flash Boys and Scott Patterson’s Dark Pools. At some point, I ran across Sniper in Mahwah’s blog talking about the way that buys and sells get transmitted across locations. The blog got particularly interesting for me last year after I received my General license for amateur radio operation. It’s worth a read if you enjoy understanding the sleuthing process and finance. I had to spend some time this week re-caulking things around the house. But, to do it requires removing the old caulking. I’ve had to use razor blades before and that was never fun. 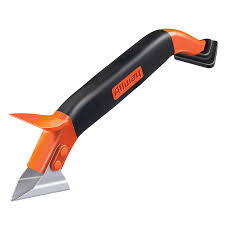 I ran across the Allway Tools 3-IN-1 Caulk Tool which has both a silicone spreader to get new caulking in the right shape and a scooped blade to strip off old caulking with minimal effort. You still need to do a little scraping and shaping afterwards with a razor blade, but having the bulk of the old caulk removed makes this work a snap. It’s cheap too: about $5-7 depending on where you look.